In the world of German professional handball, THW Kiel stands head and shoulders above the competition. THW Kiel, affectionately known as “The Zebras” have won the German Handball-Bundesliga a record 20 times including 10 of the past 11. In international play they have reached the finals of the EHF Champions League on seven different occasions (winners 2007, 2010, and 2012). Contributing to that success is a willingness to embrace technology as a means of maximizing training efficiency. 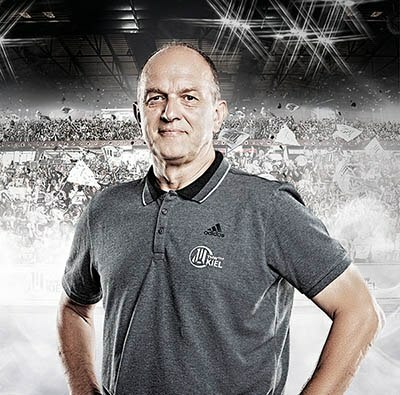 THW Kiel trainer Jörn-Uwe Lommel is a former member of the German National Handball team. He started training players, in 1995, shortly after retiring as a player. As a trainer, he was immediately drawn to the potential of physiological monitoring as a tool for getting the most out of athletes and validating his contributions. “I want certainty about the effectiveness of my work,” he explains. In the beginning, he was an early adopter of heart rate monitoring for performance management. Two decades later, he knows exactly what to demand from his monitoring system and has high expectations for results. With Firstbeat Sports Lommel found a partner capable of supporting his work to the highest standards of the league. He has access to real-time data and analysis of aerobic and anaerobic training loads and Training Effect (an advanced metric designed by Firstbeat to describe how training sessions impact individual player fitness levels). He also has access to a variety of other information including respiration rates, EPOC prediction, and VO2max estimates and a barrage of recovery testing options. All of which come in handy when dealing with the challenges of maintaining the top position in Germany’s top professional handball league. Real-time monitoring is achieved via chest belts worn by players during training. These monitoring belts transmit data via Firstbeat’s state-of-the-art wireless telemetry system to the Firstbeat Sports analytic software running on a courtside laptop. Data and reports from the sessions can be stored in a cloud for easy sharing between coaches and trainers. Alternatively, raw monitoring data can be imported from the team’s Suunto heart monitoring watches for post-training evaluation by the Firstbeat analytics engine. In addition to roster challenges, the Zebras face a rigorous competitive schedule. Regular contention in the EHF Champions League means a lot of additional games for the team each season. Between normal league play and EHF commitments the Zebras have a competitive match roughly every third day. As a former elite player and as a successful trainer, Lommel has perspective on the physical and psychological pressures of elite handball. His deep personal understanding of these demands prove a valuable resource for ensuring training sessions offer the best preparation for demands of competitive games. Over the years he has observed that handball players who developed the ability to recover quickly after short bursts of high-intensity play have a significant advantage. “Handball players aren’t endurance athletes. They have a very different metabolism,” he elaborates. The ability of Firstbeat Sports to automatically detect and analyze aerobic and anaerobic activity is a unique tool that helps Lommel put this knowledge into practice. The system allows him to see which metabolic system is being developed during training which helps him guide athletes towards activities that support the specific demands of the game. Lommel believes there is still room for improvement when communicating the personal benefits of monitoring. “It needs to be seen as a tool to help athletes improve themselves,” he explains. And he is quick to placate concerns about attempts to use data to overcontrol. “We work individual personalities, and we appreciate them all,” he adds. One specific benefit to athletes he has observed is the enhanced body awareness that develops when Firstbeat’s Training Effect feedback is combined with perceived exertion feedback. With experience these elements tend to synchronize which leads to more personal mastery. Firstbeat analytics also have a significant role to play in facilitating communication between coaches, trainers and players. This makes it easier for the team to maximize the benefits of specialization and function together as a unit. “With Firstbeat I can give succinct objective feedback to our head coach, Alfred Gislason, about his training sessions. We can discuss if things need to be changed, what works well, and so forth. Together with an experienced trainer’s eye, this is an effective combination”. In the future, Lommel hopes for broader usage of Firstbeat’s monitoring and analytic capabilities by players and across the scope of team activities. “We are looking forward to a long and successful collaboration with such a strong scientifically oriented company,” he concludes.